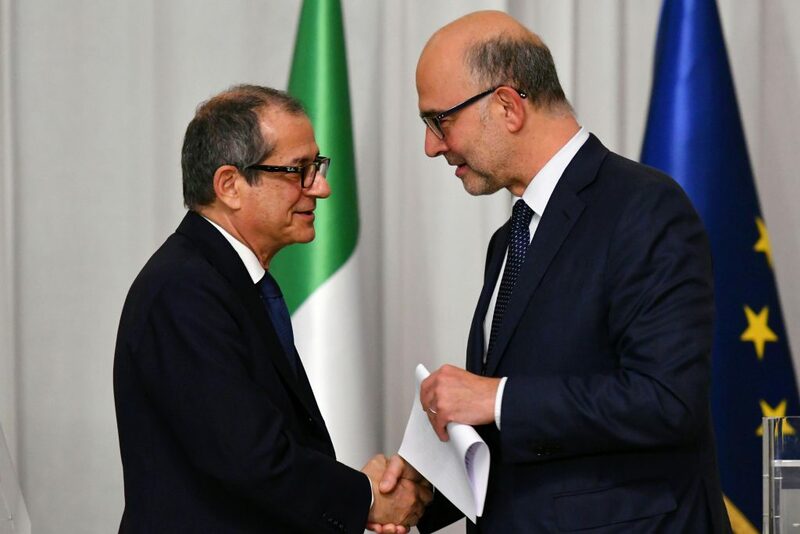 Brussels – The European Commission has formally warned Italy that its budget plans for 2019 are a serious concern, launching a high-stakes process that could see Rome hit with unprecedented sanctions for breaking commitments to Brussels on its budget. The process is complicated and could potentially drag on to next summer, with some northern eurozone members such as the Netherlands and Finland eager to see Brussels get tough. But with European elections fast approaching and support for populist and eurosceptic parties on the rise, the commission is also under political pressure to again show flexibility. In 2013 during the heat of the crisis, the commission, the EU’s executive arm, was handed new powers to enforce budgetary discipline in the eurozone through fines and a right of veto. At the heart of the concerns is Italy‘s public debt, which amounts to a jaw-dropping 2.3 trillion euros. This represents some 131 percent of Gross Domestic Product (GDP), the biggest rate in the eurozone after Greece. That ratio is more than double the 60 percent of GDP limit set by European rules and above the eurozone average, which stands at around 86.5 percent of GDP. Brussels has demanded Italy cut spending and reduce its public deficit in order to pare down the debt pile. 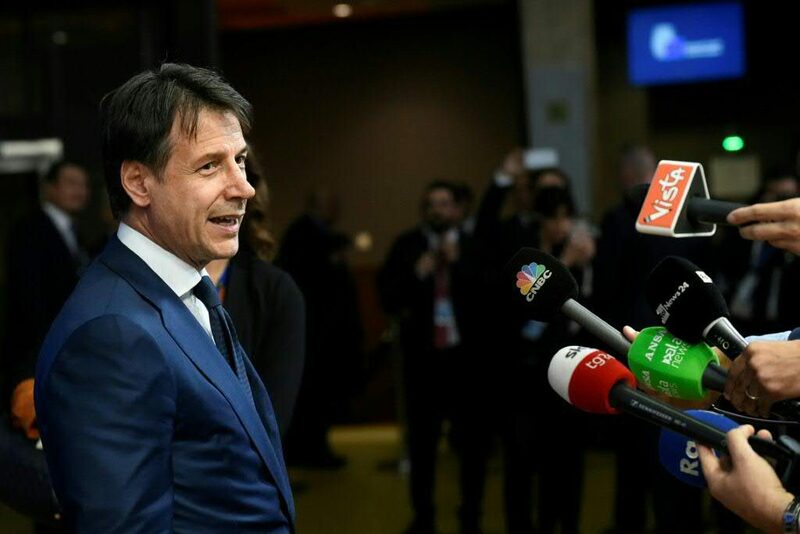 But on October 3 the Italian government irked Brussels and provoked the markets by tabling a draft budget that boosted overall spending instead of cutting it and forecasted a public deficit of 2.4 percent of GDP in 2019. 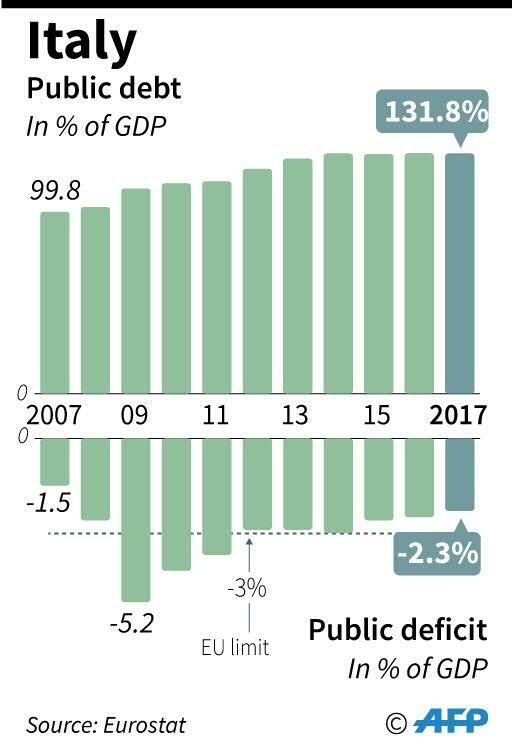 Italy‘s deficit itself is not problematic: it has been below the EU’s three percent of GDP ceiling since 2015 and in 2018, it should be 1.7 percent. The key piece of data for Brussels is the so-called structural effort, a technical term for long-term reforms such as pension cuts and labour laws on hiring and firing. 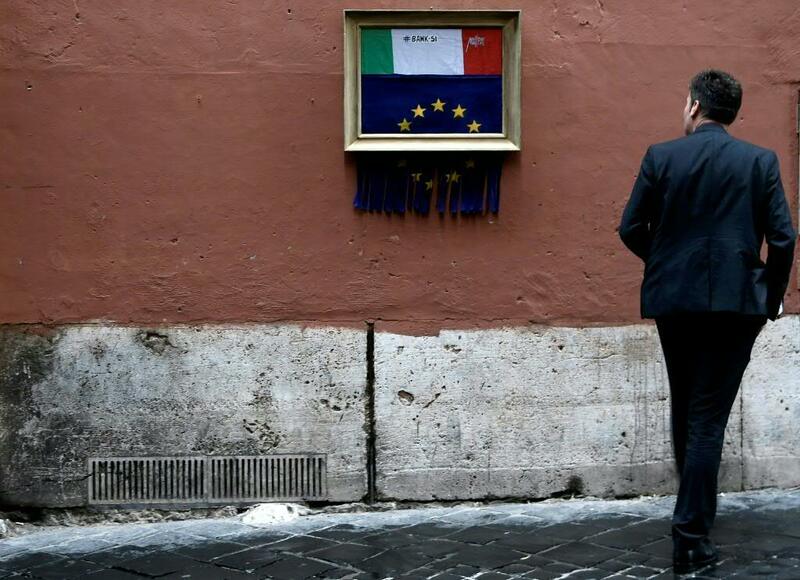 Further angering Brussels, Rome has decided to reverse course on these tough reforms, vowing to increase spending instead. 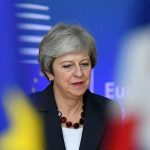 The overshoot is “unprecedented in the history of the Stability and Growth Pact,” the commission sad in its warning to Rome, giving the government until 1000 GMT on Monday to respond. If left unsatisfied the commission can then formally reject the budget and ask Italy to deliver a new plan in three weeks. If Rome remains defiant, then Brussels, backed by the ministers, can open an “excessive deficit procedure” which could theoretically lead the way to financial sanctions. The 19 eurozone finance ministers then meet on December 3 and will give their verdict, based on the commission recommendation. The EU could also delay their response and ask for still more information from Rome, throwing the fight until well into next year. Based on EU law, these can go up to 0.2 percent of a nation’s annual economic output, about 3.4 billion euros for Italy. France is the most controversial escapee, after slipping by for nine years with a public deficit above the 3 percent of GDP limit. Brussels repeatedly issued angry warnings, but Paris was never punished, drawing bitter criticism from balanced budget sticklers, such as Germany and the Netherlands. Traders, as well as the Italian government, are braced for the opinions of credit ratings agencies within the coming weeks. Downgrades could accelerate a flight of investors away from Italian debt, thus sending the government’s borrowing rates soaring and threatening the country with a default. 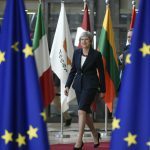 Previous Brexit: What happens next?